For the title, I used the Surf's Up Stickease! The van and clouds are also Stickease! 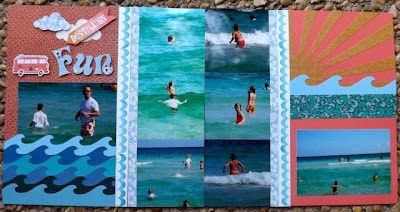 The sun on the right and waves were all cut with the Artbooking Cricut Cartridge! 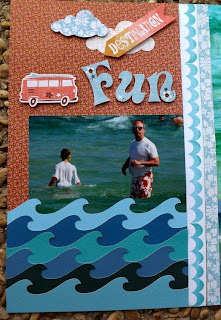 The vertical borders were stamped using the Surf's Up Workshop on the Go stamp set and the zip strips! 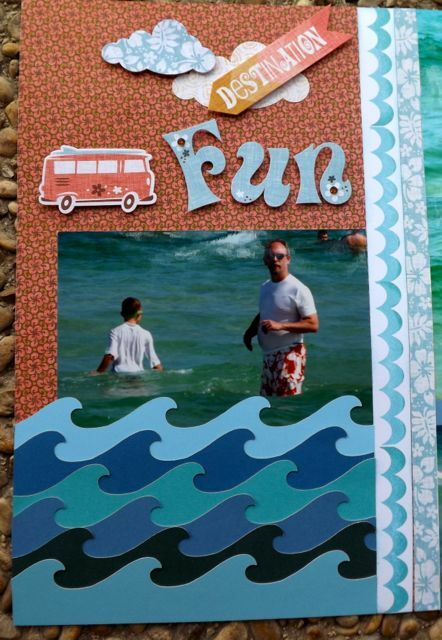 I added a touch of bling on the word Fun!